This discussion is related to the Bulk Edit addon. Clicking the header on the column 'Action' will check all the boxes for you. This is a great tool - although, I'd love the option to "Delete User Content" when banning (just as there is when you ban manually). Otherwise, if I ban with this tool, their spammy links in their profile still remain. There was a recent patch which necessitates an update. It drops support for anything under 2.1.8p2. It also works with the latest stable version of Vanilla. I'm using 1.3 and it stopped working. I check several users (spammers) and select Ban - it goes through the whole process and looks like it's working. But when I click to go back to user list - they're all still there. Even after I refresh the user list. @jcncnc What version of Vanilla are you running? @hgtonight: I us Vanilla 2.2 with an BulkEdit 1.3 and there seems to be an issue. The checkboxes are visible in the user list, just the select menu and the go button that define the action are not shown. I just wanted to say that this is an incredibly useful plugin, and IMO should really be built in to Vanilla. Thank you! Hi Guys, It's 2.2.1 vanilla i'm running. Tried the newest addon release and failed. It's bad and makes me upset. I am getting the error as well. Tried checking out the code, but can't figure out what is preventing it as it seems to be OK code wise. It is only giving out the error when trying to change roles in the users. @Dmitry33 and @Eriel This needs some major rework, from the looks of it. I will update it when time permits. @hgtonight I have exactly the same issue. 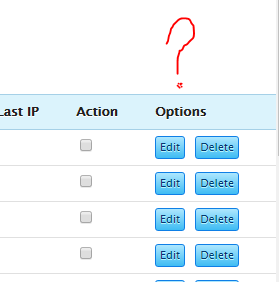 I am on Vanilla 2.3 and can see the checkboxes under column 'Action' but the select menu is missing.